White Pass is a fun little resort in the southern part of Washington about half way between Portland and Seattle. Some locals called it “A big little mountain” which seems like a good description. It’s also known for having a great family friendly vibe and we really enjoyed our day there. 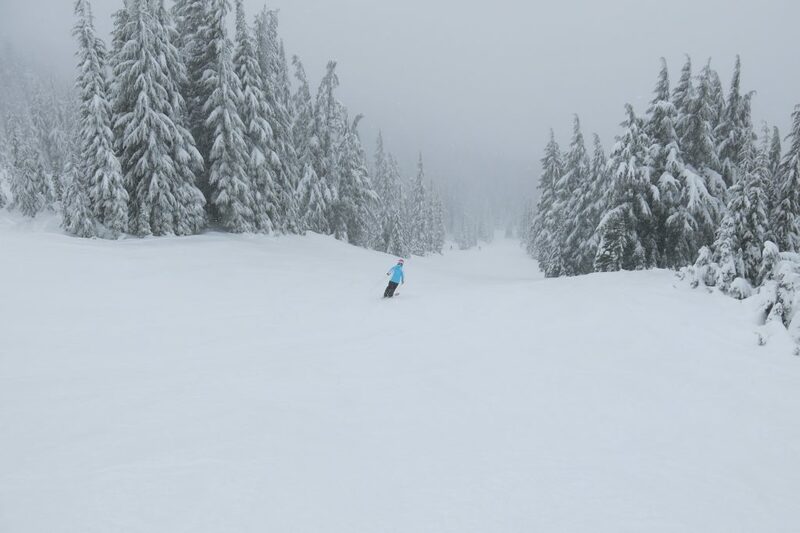 We skied White Pass on our annual Christmas-to-New Year ski trip. This time we decided to take the RV trailer and our Husky Sammy, so we needed to pick resorts where we could camp in the parking lot and drive to in 2 days or less. 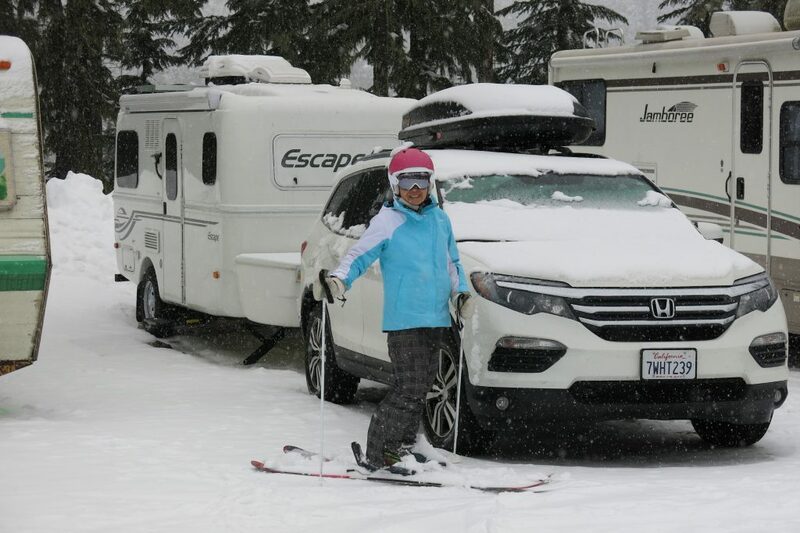 The resorts in the Washington Cascades all seem to allow parking lot camping and it’s part of the ski culture of the area. 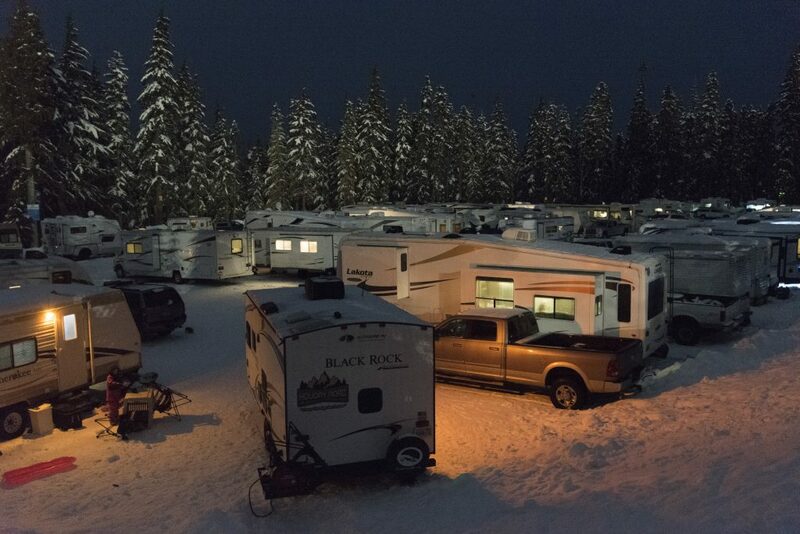 White Pass has devoted an entire lot to RV’s and it’s FREE to park overnight there. 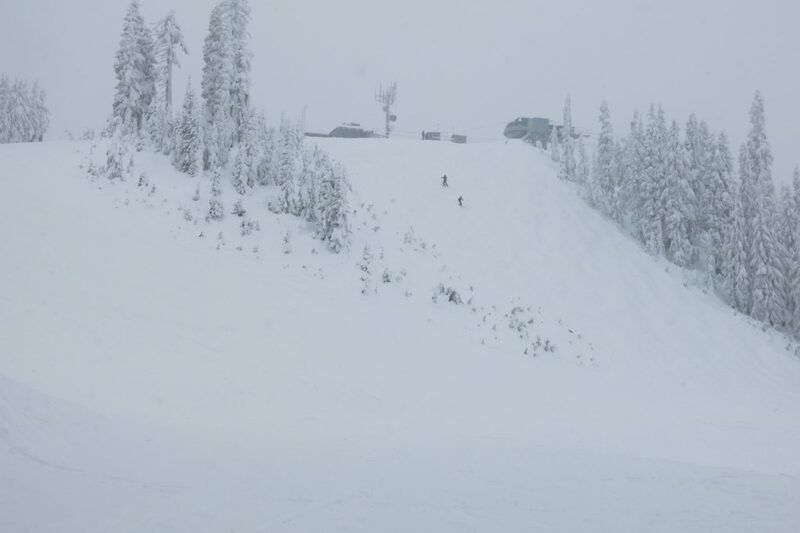 It’s super convenient to camp there and walk less than 100 yards to the lifts in the morning. It was fairly quiet at night except for generators which are necessary because there are no hookups. Our rig is setup for cold temps and we have never actually needed to run a generator since owning it, but most people need them when it’s cold. 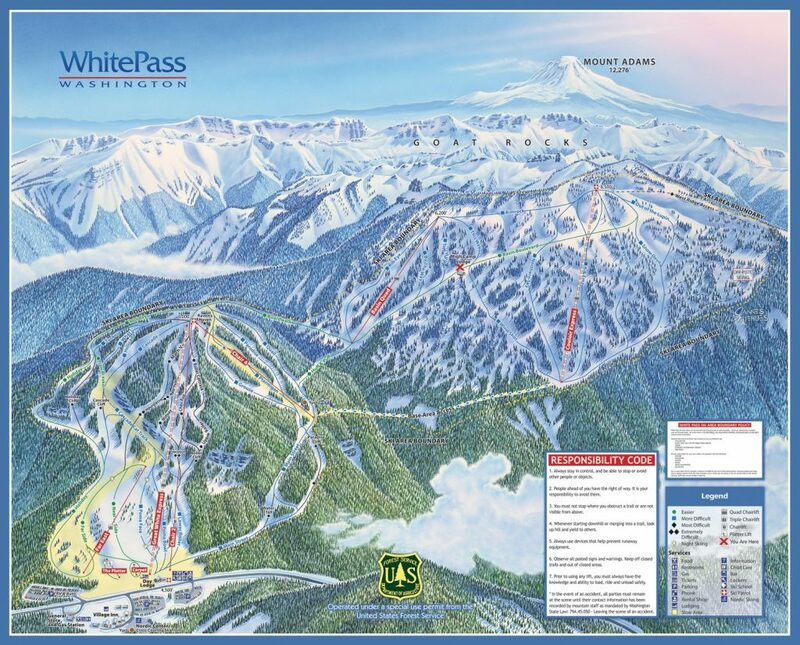 White Pass is famously the area where Phil and Steve Mahre grew up. Their father was the mountain manager and they lived in a house at the base with their 7(!) siblings. 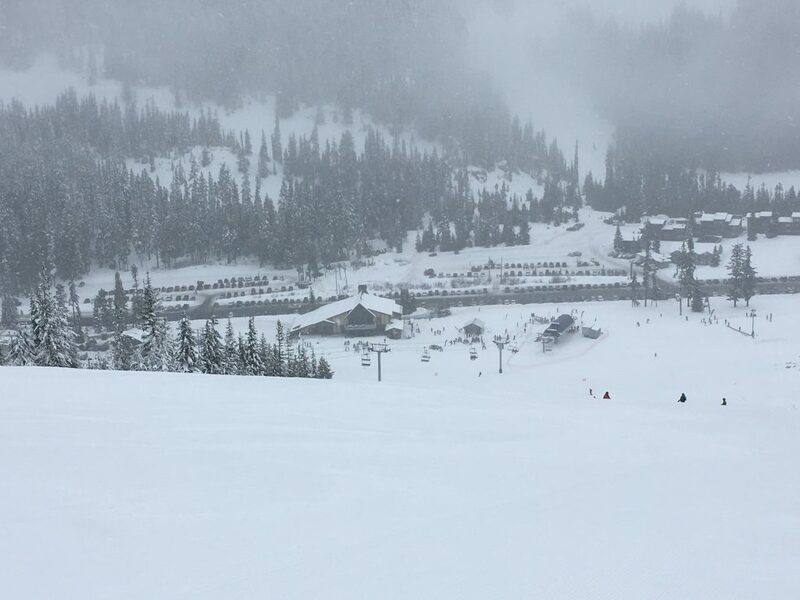 The resort would never have been on our list prior to the 2011/12 season when it was expanded and more than doubled in size. There are 4 distinct ski pods now. We started on Chair 4 which is an old double chair that serves several perfect intermediate groomers. 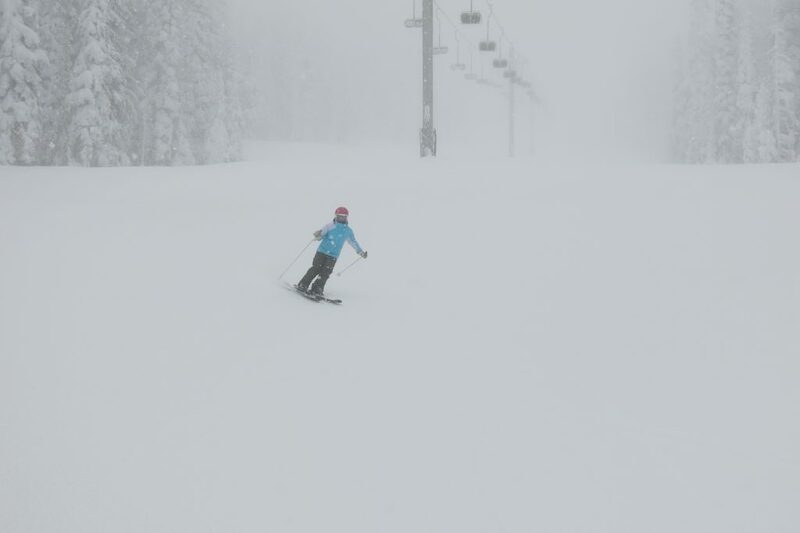 With 3″ of fresh snow overnight, it was the best introduction we could have hoped for. 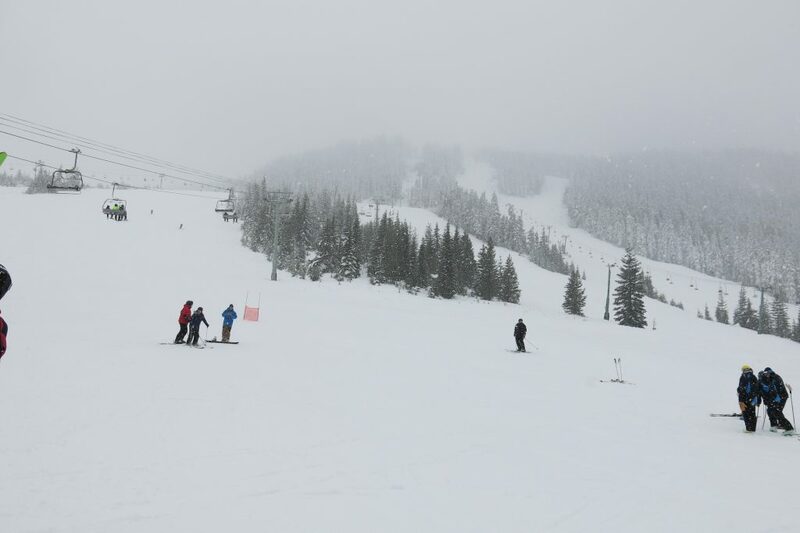 The next lift to the right is the Basin Quad which is a fixed-grip chair that is fairly long, slow, and flat. They did a nice job cutting the new trails in this zone with lots of tree islands, but it’s just too flat to be that interesting. The main lift at the resort is the Couloir Express and that’s the only place we found a lift line. It’s a nice long-ish high-speed quad, but still fairly flat. There is JUST enough vertical to make for a nice length run. All the terrain in this zone is pretty easy but with the occasional short steep drop to make it interesting. We spent the rest of our time on the main lift on the front side “Great White Express”. This is where most of the steeper terrain is and the runs on that lift are very interesting. It also has the most vertical drop of any of the chairs so it makes for a longer run down. 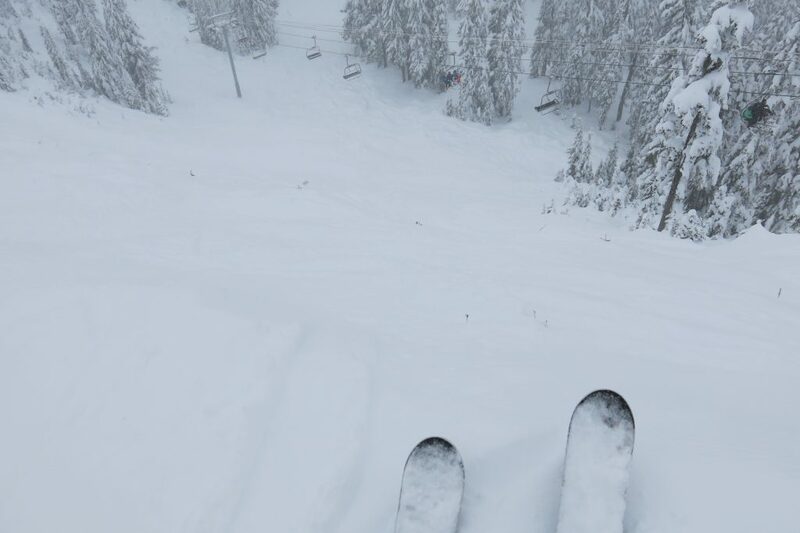 Some of the black and double-black runs right under the chair reminded me of the lower front-side of Taos, New Mexico so there is some serious challenge there. 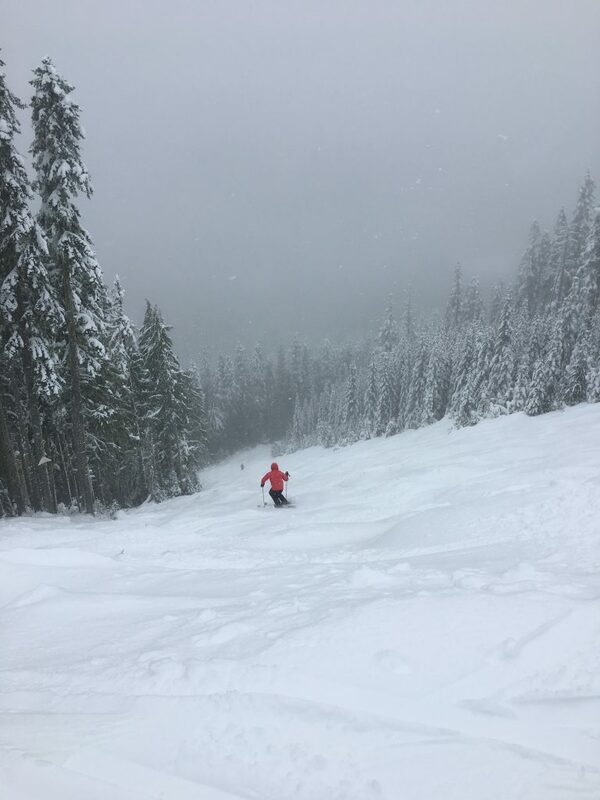 Generally White Pass is a pretty easy resort but there was enough challenge to keep us interested for a day or 2. Out of all the Washington resorts we felt like this was our 2nd favorite after Crystal. 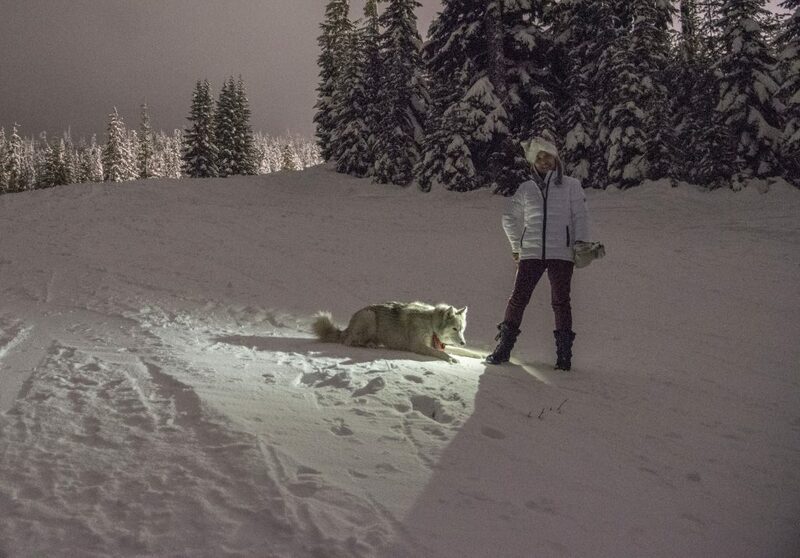 White Pass was fun and we would love to go back if the opportunity ever presents itself. It’s over 800 miles from our house though, so that is somewhat unlikely! If we lived in Portland or Seattle this would probably be one of our regular resorts.